Cannabidiol (CBD) is an incredible compound that is thought to ease everything from chronic pain to anxiety. But, if you’ve ever wondered whether CBD for IBS (irritable bowel syndrome) could be a real, viable treatment option. the answer is yes, it likely can. Inflammatory bowel syndrome (IBS) is a condition you’ve likely heard of; it’s a type of bowel disease that is thought to affect up to 45 million people in the United States. It’s a long-term condition that causes abdominal discomfort and pain, irregular bowel habits, bloating, and inflammation. In this article, we are going to be taking a look at how CBD could help with treating this debilitating condition. From a clinical perspective not much is known about CBD for IBS, but today we are going to explore how – and why – it might work, what medical research says, and how to use CBD if you’ve never tried it before. Irritable bowel syndrome is a common condition that affects the large intestine. Signs and symptoms include bloating, gas, abdominal pain, diarrhea, constipation, and cramping. IBS is classified as a chronic condition that needs to be managed long-term. IBS affects between 25 million to 45 million Americans. People in their late teens to early 40s are most likely to develop the condition. IBS isn’t life-threatening, and only a small number of people suffer severe signs and symptoms. It doesn’t make you more likely to develop other colon conditions, like Crohn’s disease, colon cancer, or ulcerative colitis. However, it can be a long-lasting condition that changes how you live your life. Those people who have IBS may miss school or work more often, and they may not feel up to taking part in daily activities. Some people may need to take drastic measures, such as changing their work setting – changing hours, working from home, or not working at all. There are two main types of IBS: IBS with diarrhea (IBS-D) and IBS with constipation (IBS-C). Some people could have an alternating pattern of diarrhea and constipation (known as mixed IBS (IBS-M), while other people don’t easily fit into any of these categories (they are referred to as “unsubtyped” IBS, or IBS-U). While there are multiple things that are known to trigger IBS symptoms, it’s not yet known what causes the condition. Studies have suggested that the colon becomes hypersensitive and overreacts to mild stimulation. Rather than slow, rhythmic muscle movements, bowel muscles spasm. This can cause constipation or diarrhea. Some people believe that IBS occurs when the muscles in the bowel don’t squeeze as they should, which affects the movement of stool. However, studies don’t seem to back this up. Another theory is that it may involve the chemical makeup of the body, such as gastrin and serotonin, which control nerve signals between the digestive tract and brain. But, whatever the cause, the fact remains that this is a frustrating condition that can affect your quality of life. There’s no single treatment option that works for everyone when it comes to IBS. However, CBD could be very effective in treating the various symptoms that are associated with IBS. Read on to find out more. IBS can be very difficult to treat. 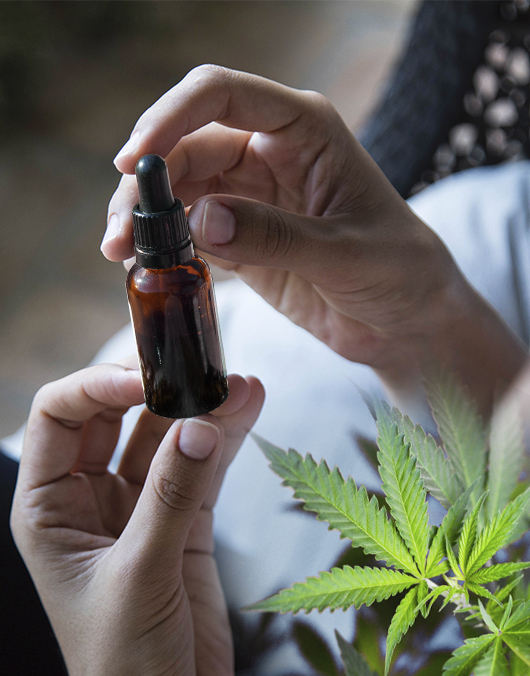 Medical professionals have stated that if standard treatments, like dietary changes, probiotics, and reduction of stress, have failed to treat your symptoms, CBD could be an option. CBD is able to regulate various physiological functions via the endocannabinoid system (ECS). Its most important function in IBS is how it works as an anti-inflammatory agent, which it does by modulating cytokine cascade. CBD is an interesting compound because it is able to mediate reactive gliosis in the ECS without having any undesirable psychoactive effects. IBS is especially bad in that it affects your appetite by making you nauseous. This often prompts patients to stop eating for a period of time, and when they get their appetite back, they often overeat. The moment that they overeat, the IBS tends to flare up again. It’s a vicious cycle and without any way to stop it, a lot of people get very much stuck in it. While you can try to mitigate the effects by using over-the-counter medications, but in reality, they’re usually ineffective. 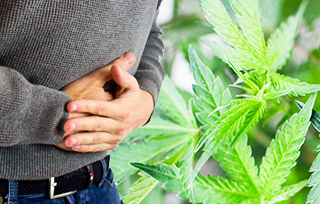 In clinical studies that link CBD for IBS, the natural cannabis compound has shown to be very effective in suppressing nausea and promoting a healthy appetite. This may make it a very valuable treatment in the fight against IBS and the associated symptoms. As it turns out, gut inflammation is regulated by two important processes. The first triggers an immune response within the gut to destroy any harmful pathogens. Although this process is important, it could damage your intestinal lining. For the second process, the immune system is shut down through special molecules in motion across the gut’s epithelial. This response uses a naturally-produced molecule that is known as an endocannabinoid. When IBS patients use CBD, the endocannabinoids relieve gut inflammation. Cannabis, in general, has a very similar effect. The only difference with CBD is that it doesn’t have any psychoactive effects. IBS is a very uncomfortable condition to live with. It’s often very painful and what can help is knowing that you have a reliable pain reliever to use when needed. CBD is notorious for its pain relieving abilities in various other medical conditions. Along with helping with nausea, CBD also helps to reduce uncomfortable swelling and inflammation. Reducing these symptoms can give IBS sufferers their daily lives back since they know that when the pain flares up, they have something to treat it. If they feel uncomfortable, they can do something about it. There hasn’t been a ton of medical research done on CBD for IBS, however the studies that have been done show some promising results. A review done by neurologist Ethan Russo in 2008 suggested that a possible cause of IBS is endocannabinoid deficiency. Endocannabinoids are natural cannabinoids found within the body and are produced through biological processes. This review establishes a strong foundation for the idea that CBD could help to alleviate the symptoms of IBS. In 2016, British Journal of Pharmacology revealed that CBD does, in fact, have a positive effect on the symptoms of IBS. After it’s been administered, the CBD interacts with CB2 receptors that are found along the human digestive tract and causes a number of benefits. CBD helps to alleviate spasms along this tract, and leads to improved intestinal motility. This means that there is less spontaneous movement within the intestines. Ultimately, it appears as though CBD merely stimulates your own body to help to relieve symptoms. For all the research on IBS and the many people who are living with the condition, medical scientists aren’t able to agree on one cause behind the condition. In some cases, it may be completely dietary. In other cases, it may be stress related. But, more often it’s a combination of the two. But, while nobody can decide on one reason, the symptoms of IBS are all pretty much the same. Constipation, diarrhea, gas, and bloating. These are the symptoms that cause the most problems for people who suffer from IBS. 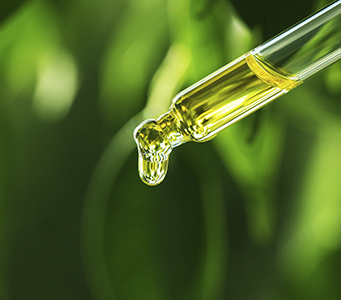 However, when patients use CBD to treat their IBS, something fascinating has been observed. The CBD interact with cannabinoid receptors in the GI tract, and this helps to relax the actual tissue that is found there. This leads to far fewer spasmodic episodes and much less discomfort. Due to FDA regulations no one, not even a doctor, can give you specific advice on how to use CBD for any particular condition, including IBS. Aside from the FDA rules, it is very difficult to determine exact CBD doses since every person is different. The required dosage can vary from person to person depending on numerous factors, like weight, metabolism, and how susceptible each individual is to medication. Fortunately, the process for finding a minimum effective dose of CBD for whatever condition, is very simple. The key to finding the best dosage is by using a procedure that is often referred to as “stepwise dosing.” This is a process in which you first establish a baseline dosage, and you can then adjust the dose incrementally over a set timeframe – usually 3 days – until you find the dosage that works for you. The idea is to start low and go slow. Many people report good results with a low dose of CBD, which is why it’s recommended that you start off with a minimal dose and slowly increase until you reach the desired effects. It’s a good idea to start with 2.5 mg of CBD either two or three times a day. In other words, between 6 to 10 mg total per day. Maintain this dosage for 7 days and if necessary increase the daily dosage by 1 – 2 mg every three days, until you receive the benefits that you need. As you most likely already know, there are many different ways to consume CBD. When it comes to IBS, your best bet would be to ingest it by means of sublingual oil or CBD capsules, or vape it. At the end of the day, it all comes down to personal preference and which method you are more comfortable with. When it comes to IBS, patients have struggled for a number of years with finding a single, and reliable fix. It’s likely to be some time still before one is found since IBS take on many different forms, and the causes are so varied. However, the effects of CBD for irritable bowel syndrome have been widely documented and are just about universally positive. Who knows, maybe one day CBD will be listed as the one effective treatment option for IBS. Aleena from Ashburn just bough! Anahi from Ashburn just bough! Dominick from Ashburn just bough!